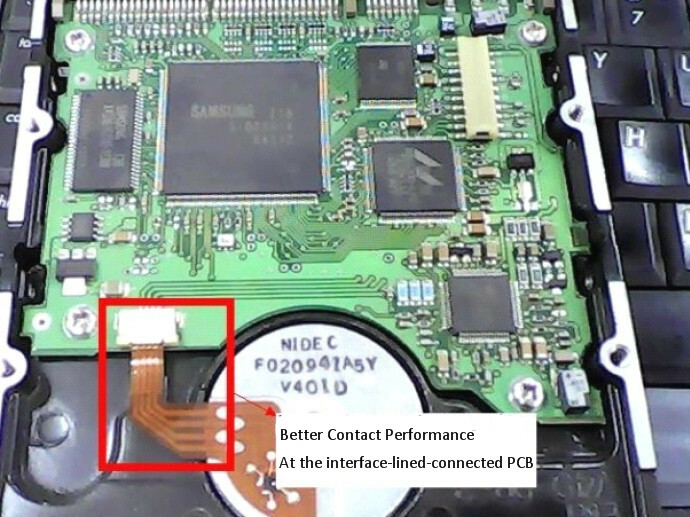 PCB damage of Samsung is one of the common failures we meet often, sometimes it doesn’t take a lot of time to find out the problem and restore the damaged hdd quickly if you can find out the failure cause quickly. 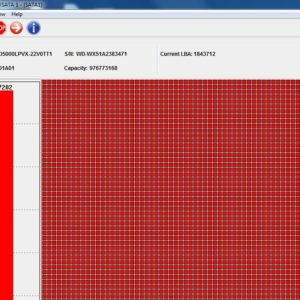 Today one client brought to us with one Samsung IDE HDD, when the HDD was powered on, it didn’t spin up and no response at all. 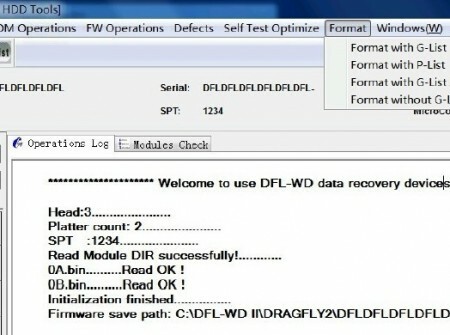 For such kind of problem, the first possible failure we can think of is on its PCB. Fragile diodes in the red-squared positions. Compared with the Clamp PCB, the wired PCB has a much better contact performance. 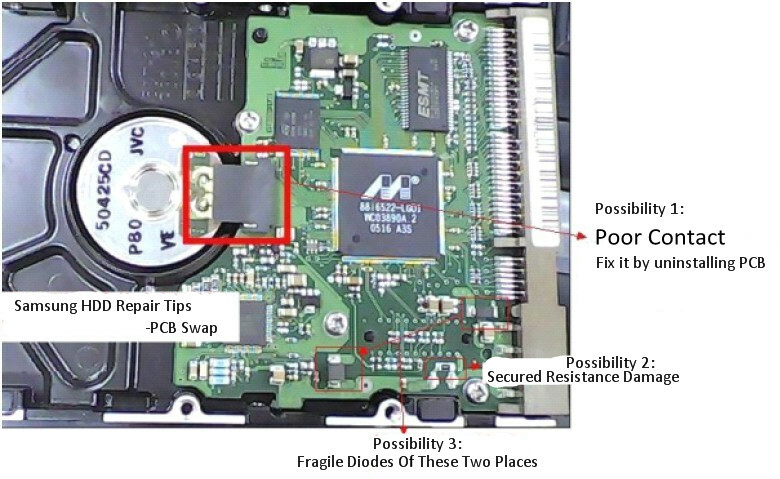 Within this case study, we uninstalled the clamp PCB and fixed the contacts and the damaged Samsung hdd was stored. 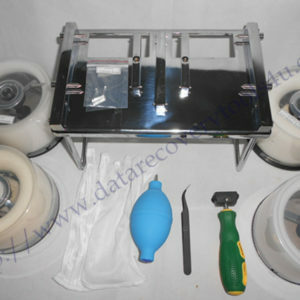 Sometimes users just need to press the clamp interface and it becomes ok.
Dolphin Data Lab will share more hdd repair and data recovery cases with all our users and any question is welcome to sales@dolphindatalab.com or users can view our data recovery tools product center here.